Mancunian jazz trio GoGo Penguin have created a modern masterpiece with their Man Made Object album on Blue Note, Getintothis’ Del Pike chats to them prior to their Liverpool Music Week gig. Liverpool Music Week 2016 promises such an eclectic range of music this year that we should literally whip ourselves back into a humble state before enjoying the embarrassment of delights on offer. As those autumn leaves fall however, imagine the perfect soundtrack to that golden vision. Metronomic beats, cascading pianos, atmospheric strings, a nod to New York jazz from the past with a Mancunian eye on the future. That could only be GoGo Penguin then. Jazz is most definitely their chosen route but as they state on their website, they are also partial to being recognised for their ventures into classical and electronica. GoGo Penguin first came to our attention in 2012 with their debut album Fanfares in, a mix of Bonobo style bleeps, Baltic Fleet rhythms and more traditional jazz phrasings. Relaxing moods often turning into almost frenetic Jazz Warrior crescendos, it is an album of many characters. Their 2014 follow up V2.0 continued in that same impressive fashion and earned the three piece a Mercury nomination. Deservedly so. In perhaps the strangest twist of fate, the band signed to the legendary Blue Note label in 2015. Blue Note being home to such legends as Art Blakey, Jimmy Smith, Herbie Hancock, John Coltrane and Miles Davis. Some shoes to fill. Their first release on the label, Man Made Object has provided some of the most beautiful sounds to be heard this year, and there is a real sense of development with much more experimental tracks and a couple of remixes thrown in. Their appearance at The Arts Club on Nov 1 has to be one of the must see events on the Liverpool Music Week calendar. In anticipation of the event, we chatted to pianist Chris Illingworth and enquired as to how they are handling life on the world’s most celebrated jazz label. Getintothis: So you’ve bagged a deal with Blue Note, does it get any better than that? How does it feel? Getintothis: What kind of doors is this going to open for you? Getintothis: Did you not feel tempted to go for the classic Blue Note sleeve approach? In fairness the album art is sweet, looking not dissimilar to Peter Saville’s work with New Order. Getintothis: Are you trying in any way to subvert the jazz scene or do you feel you travelling a well-worn route? With the more experimental and upbeat sounds on Man Made Object, we wondered where those influences were coming from. Getintothis: Do you come from jazz backgrounds primarily or do you hail from more dance orientated roots? Getintothis: Who has inspired you and who do you feel most akin to in contemporary music? Getintothis: What’s coming up next for the band? Getintothis: Is it important for you to gain success Stateside, particularly as your label is a true American icon? Getintothis: Are you looking forward to visiting Liverpool again? 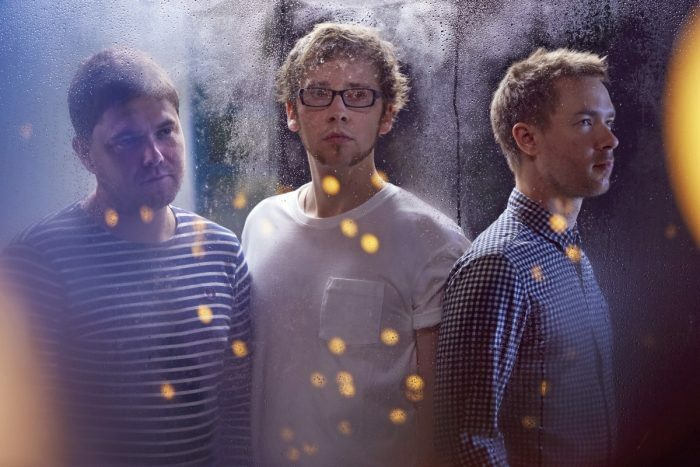 GoGo Penguin will play The Arts Club on Nov 1 and tickets are available now from the Liverpool Music Week website. Check out their site for all other events.